This is kind of early, and a lower quality drawing than I'd like. I have to get up at seven a.m. tomorrow, and will be at University until ten p.m., or thereabouts. Due to this, I'm going to attempt, in vain, to deny my Insomnia. I say in vain, but I must try regardless. Ergo, I will, and I'll bid you adieu. 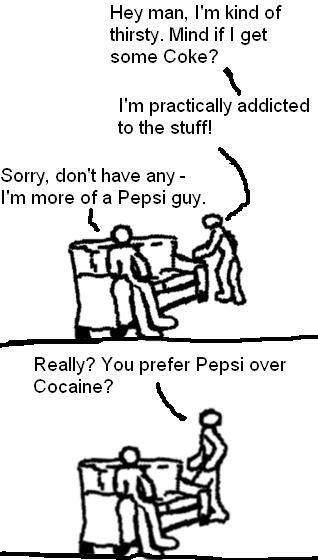 Funnily enough, I do prefer Pepsi to cocaine. Nothing can beat a nice bit o' mescaline, though.